I have to admit that these Teaching Tuesday posts are a little hard to write right now… I’m reeeeeaaaady to be out of school for summer, and – if I’m really being honest – not a whole lot of creative/exciting teaching is going on these days! Obviously, it warmed my heart. Excusing the fact that was his favorite memory of high school (which makes me a little sad if I really think about it), he remembered ME. Something I did – which, in all honesty, was probably totally casual and not intentional “teaching” at all – has stuck with him for four years. Y’all, THAT is what gets us through these long days when no one wants to be at school and the paperwork is overwhelming. THAT is why we do this job. Anyway, that got me thinking, and I realized that I really do VALUE my students’ feedback. Throughout the year, I almost always have students rate books and activities that we read on a scale of one to ten (I use the very scientific method of having them hold up their fingers on the count of three), and I ask a lot of questions like “Do you think that sounds reasonable?” “Should we change anything?” “How should I do this differently next time?” Then, at the end of the year, I always commit one full class period to reflecting, evaluating, and seeking advice for the next year. Of all the things I do to be a good teacher, I think these exercises alone are enough to make me better from year to year. So, what does that look like for me? 1. I start with an anonymous student survey. On one side of the paper, I list about ten questions that are fairly quick and easy to answer. 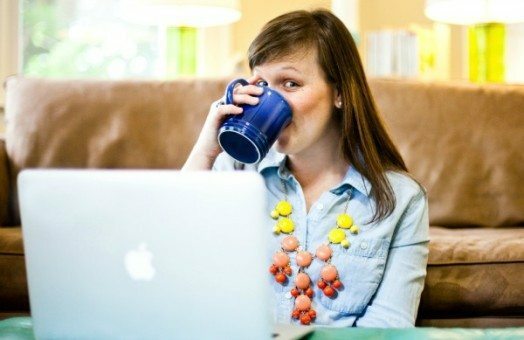 The first half are usually the type that you can answer with “Strongly Agree,” “Agee,” “Neutral,” “Disagree,” or “Strongly Disagree.” These are mostly about things like whether students felt the class was fair, whether or not they learned something, whether they felt challenged and respected, etc. The second half of the questions are open-ended and relate specifically to the class content – along the lines of “What was your favorite/least favorite book we read this year?” “What projects/assignments did you find the most fun?” “The most beneficial?” “The worst?” I encourage students to be honest (but respectful) on these surveys, and that there grade will not be impacted by their comments. On the other side of the paper, I give a brief outline of what we did throughout the year listing all major works, projects, assignments, etc. I base this off of my syllabus and lesson plans, and it takes about five minutes to put together. I have only recently started including this, but I find that I get MUCH better quality answers when I refresh the kids’ minds a little bit first! 2. After the survey, I usually give some kind of little speech about how much I have enjoyed working with them and what they have taught me that year. I try to personalize this for each group and be sincere. EVERY class has something good about it. 3. Next, I put a rough draft of my course outline for the NEXT year up on the smart board. 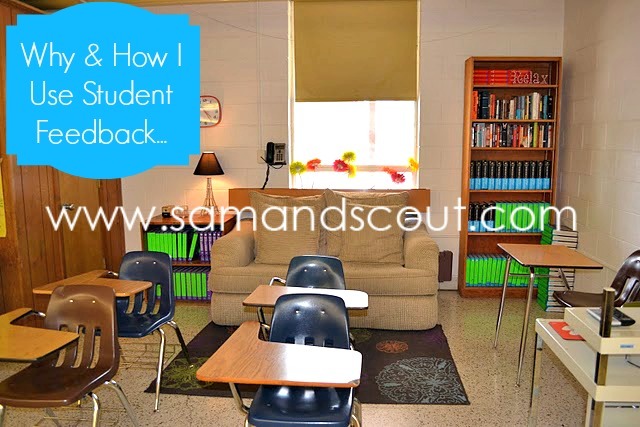 This is probably THE most important thing I do… I ask students to walk through the next year with me and help me make adjustments, changes, etc. I usually have A LOT of questions for them too. This is usually when they are the most honest with me about what works, what they like, and what doesn’t/they didn’t – I think because they feel less personally connected to it. This is SO HELPFUL in planning for the next year because – let’s be honest – by August, I’ve forgotten a lot of these things!! The “graduating” class typically helps me choose what books I will assign for the summer, the order I will teach things the next year, which novels to include, etc. etc. etc. 4. With time remaining, I ask them to write a letter to next year’s class with advice, tips, encouragement, warning, etc. to be handed out on the first day of school in the fall. Especially for the AP class, this works nicely because they are often able to say things like “this class will be a lot of work, but you will be so glad you did it all when it comes time to take the AP exam in May” that are really crucial in terms of motivation etc., but that just don’t have the same impact coming from me. Plus, my students know I do this, so they look forward to receiving a letter at the start of each year. 5. 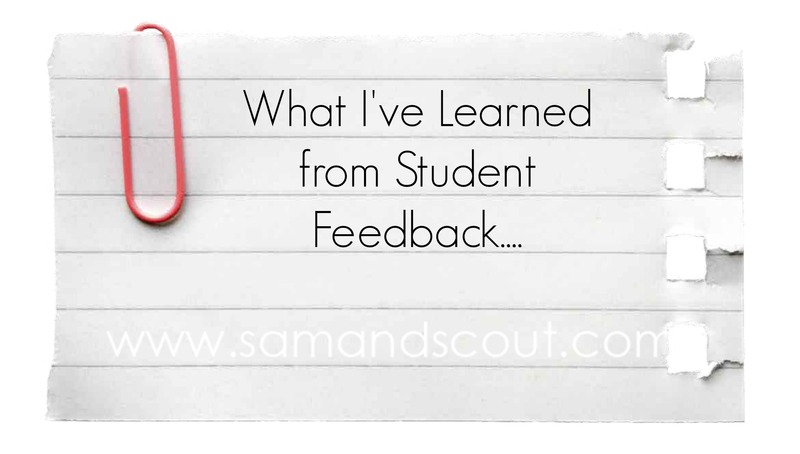 Finally – and this step is SO SO important – I take the time to really READ and DIGEST what my students have shared with me. Sometimes I will spend a whole day during exams or the work week just reading over what students have said and making adjustments to my plans for the next year, making notes for myself, whatever. Without this, steps 1 – 4 are a total waste of time! – They prefer the Socratic seminar and essay method over tests. – They like to do most of their reading OUTSIDE of class. – They APPRECIATE consistent and fair discipline. – Mutual respect goes a LONG way. – They WANT a challenge. Total Disclosure: Yes, sometimes hurtful things are said; but, they are usually not things I don’t already know about myself (like, for example, the fact that I am really bad at getting papers graded and returned in a timely manner). I really try to not leave those things off the list – it is good for me to recognize my weaknesses and make room for improvement in the future. On the rare occassion that I do get something really mean, it is outweighed by positive feelings and/or constructive criticism, so I am able to take it as a grain of salt. After all, these are teenagers I’m working with! Ok… I never really know how to end these posts, but I hope this info was helpful for someone! If you’ve never considered chatting with your students about your plans for next year or surveying them at the end of the year, I STRONGLY encourage you to make some time to do it this year! If you already are, please share how it works for you/your classes in the comments below! Also, if you have any ideas for future Teaching Tuesday posts, I’d LOVE to hear them! P.S. I updated my “Favorite Blogs for Secondary Teachers” post to include two new blog-finds for secondary teachers: Teach 4 the Heart & Secondary Solutions (mentioned above). Both are FULL of great resources, including the two shown below for the end of the year… If you ever find a good blog that should be added to my list, please pass it along, I’d love to keep it as current and inclusive as possible! Hey! I spend a lot of time on the World History Teachers Blog. They share a TON of history sources, but also spotlight technology resources too. On a recent post (http://worldhistoryeducatorsblog.blogspot.com/2014/05/no-summer-vacation-on-blogs.html) they listed all the blogs they produce. Thanks for the suggestions! I have an electronic survey my kiddos take during class, but I’ve never known quite what to do with it. Thank you for this. I’ve done course evaluations all 12 years that I have taught and they provide meaningful feedback for me. I was seriously thinking about not doing them this year for various reasons. So thanks for the inspiration. I love the idea of having them help plan for the next year. I always love your teaching posts, so please keep them coming! This was especially helpful and is definitely something I hope to incorporate at the end of my first year teaching next year. I just wish I had seen this or thought about it before finishing my student teaching so that I would have some of this valuable insight before my official first year (although I did ask along the way about activities and group/team reviews that I designed). As someone about to start my teaching career (despite my being older), I would love to hear more about the do’s and dont’s of starting new at a school…like how to integrate yourself into a department but not come on too strong…or how to set up your room for the very first time from nothing (especially since it will be before the first paycheck). I tend to think of questions and concerns when I can’t write them down like when I’m driving, but I will try to get back with you on them as I know you will have some valuable insight for others like me!!! Thanks! I love your blog it is so informative! I have many resources myself, but I could not stop gawking at yours this morning!